﻿ What does a little brown bat look like? What does a little brown bat look like? This is perhaps one of the best know species of bat across the United States, and one of the biggest pest animals in some places too. It's only a little bat really — between around two and four inches in length, with a wing-span of about 9-11 inches, and if you were to pop them on the scales, they'd weigh no more than about half an ounce. Of course, the name gives the color away — it's not called the little brown bat for no reason, but it can vary a bit, with some darker and lighter shades of grey thrown in for good measure. Where does the little brown bat live? During the colder months of winter, the little brown bat can hibernate or migrate, depending on where they live and how hard the winter is likely to be. If they know they won't survive, there's a pretty good chance they'll hibernate. If they can survive and don't want to leave the super-awesome spot they have found for themselves, they'll snooze the winter away, all keeping huddled together to keep warm and protected. Hibernation and migration can last for anywhere between four and six months, although this can vary greatly. What does the little brown bat eat? Moths and wasps are big favorites for the little brown bat, but they love insects in general. That's what brings them flocking to swamp and marshland locations — where there is water, there will be insects. These insects come out in their droves at dawn and dusk, and this just so happens to coincide with how the bat likes to operate. A nocturnal creature just like other bat species, these are prime times for insect-munching. For the record, they're excellent fliers and can even catch, chew, and swallow their food whilst in flight. A lot of food, too; sometimes as much as half of what they weigh consumed each night. When does the little brown bat have babies? Females will first start to become sexually mature from as young as seven months of age, although for others, it can take a little longer — maybe nine or ten months, verging into a year perhaps. It is common for males to take quite a bit longer than their female counterparts; as many as four or five months later in some cases. Mating actually doesn't actually happen to coincide with the birth of young bats. The two sexes will come together towards the end of summer and beginning-middle of fall to mate, but the females will keep those eggs safe until much later on. She essentially holds onto them, fertilizing them a few months later. This allows the youngsters to be born in the spring, when food is in abundance, and giving them the best chance of a full and happy life. After a gestation period of around one to two months, most female bats will have just one baby bat in her litter, although, it is that uncommon for two to appear. They are taken care of by the mothers (the fathers are entirely uninvolved), fed with milk, until they are between two and four weeks old. At this stage, they are pretty much ready to become a bat all of their own right — feeding without mum and perhaps even starting up a colony all of their very own. 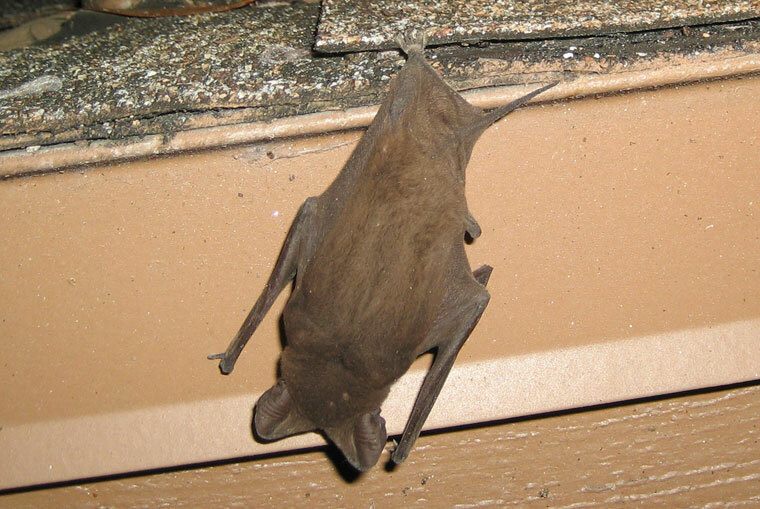 Go back to the Bat Removal page, or learn about bats in the attic with my Bats in the Attic guide.